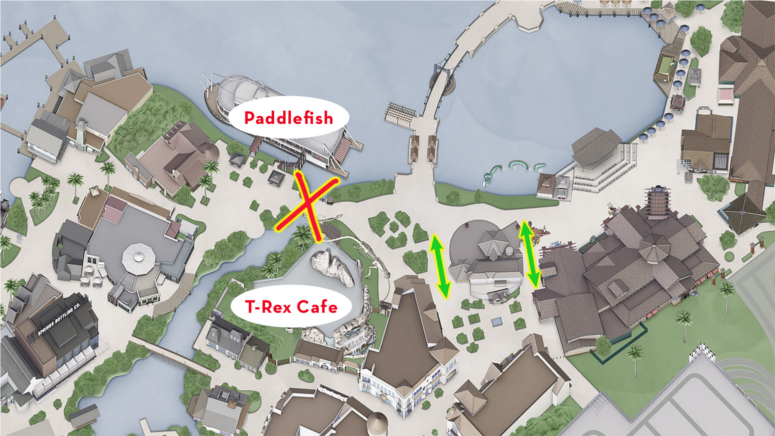 Beginning from July 6, the bridge between T-Rex Café and Paddlefish (formerly known as Fulton’s Crab House) will be closed to Guests for refurbishment. During this time, the Marketplace will remain accessible through Town Center or by taking a Disney Springs Water Taxi. This refurbishment is currently expected to take approximately five weeks. Once it reopens, the bridge should look mostly the same, but it might feature some minor cosmetic changes.